Why do I attract only healthy and loving relationships? Discovering early this year 2018, that the asthma I have had since child birth is caused by fungus, I have started on this road to better health on a anti-fungal diet, no carb, no sugar, no alcohol along with oil of oregano. Not only did this reduce my medications and the craziness due to these, I have finally been gaining some health. 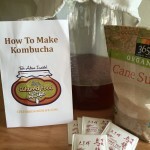 In the 2 years I made my own fermented foods and drinks, my health never got better. Until this year when I stopped using fermented foods since it feeds the fungus. For me and many others who have most health issues, sugar, carbs only feed yeast, fungus and molds. Doug Kaufmann “Know the Cause” teaches and informs how most of our modern day illnesses including cancer is fungal base. I invite you to look into this journey to better health. 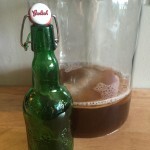 Fermented foods like Kefir homemade from Kefir grains is what this information will be sharing, as well as, Kombucha tea. Kefir dates back many centuries to the shepherds of the Caucasus mountains. They discovered that fresh milk carried in leather pouches would occasionally ferment into an effervescent beverage. As well as produced in ancient times by nomadic shepherds in the Balkans, kefir was little known in the West for 1,900 years, despite being mentioned by Marco Polo. Then, by order of the Russian Czar, it was brought to Russia at the beginning of the twentieth century and became popular in many parts of Europe. The story of kefir is littered with distinction: a 2,000 year history, a mention by Marco Polo, and, in the 1980s, a symbolic gift exchanged between superpowers at the end of the cold war. This is the information I have found. Milk kefir grains have been cultivated for hundreds if not thousands of years in the mountainous region of the Balkans, and the milk kefir recipe has been handed down for generations. Rich in beneficial bacteria, yeast and healthy acids, this tangy treat has been prized for its unique “feel good” qualities. “Keif,” the root of the word kefir means “to feel good” in Turkish and it is little wonder that these cauliflower shaped grains have been passed down from generation to generation. We have come to learn in recent years, that in order to have a healthy brain, we most have a healthy gut! Besides the nutrients, science has come to learn about the microbiome, all of the bugs living in the gut. The microbiome is all our inhabitants, our silent passengers, the trillions of bacteria in the gut. They dictate a lot about our immunological system, our mental health and brain health. There’s a lot to do with the gut tied to how we feel, all those brain signals that are firing. Good moods, sharp thinking, lots of focus, lots of energy — that’s all this brain phenomena they have found that is tied to our gut health. Hence… Fermented foods are the key to helping our bodies create better physical and mental health. 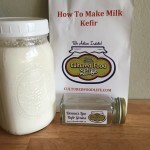 Store bought milk kefir is full of sweeteners and thickening agents in order to create a uniform product, less diversity of microbial culture than homemade due to manufacturing limitations, so convenience comes at a cost plus commercially mass produced Kefirs and yogurts often have only around 10 healthy bacteria compared to homemade Kefir has 30-50 healthy bacteria. It is easy to make a fresh milk kefir with kefir grains. Antibacterial and antifungal properties means that it kills harmful organisms such as Salmonella as well as Candida albicans making it a good choice for those suffering from candida overgrowth. 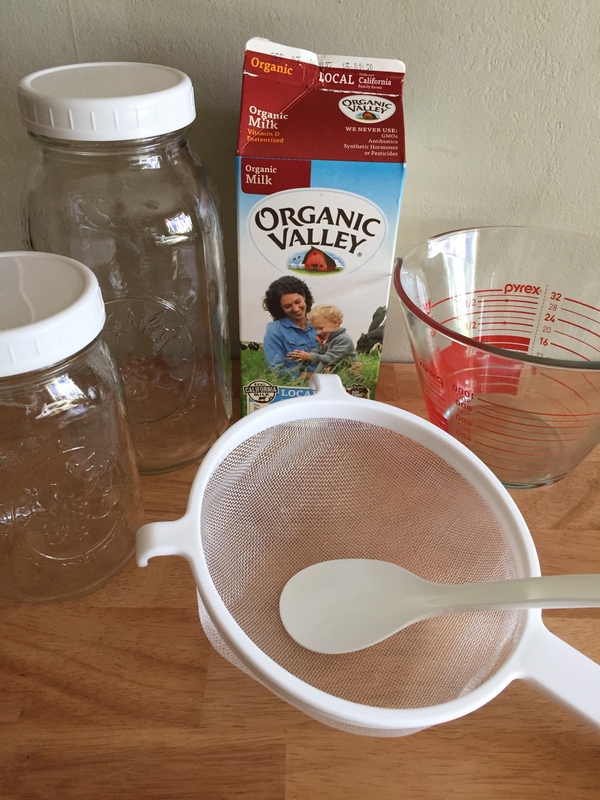 Tools 64oz mason jar, 32oz mason jar, large measuring cup, large plastic stainer, plastic spoon to separate Kefir Grains from curds. 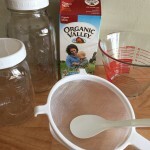 Place new Kefir Grains into large jar and cover with 4-6 cups of Organic pasteurized milk. 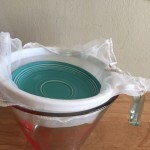 Cover with plastic lid without tightening it down, just place on top to allow to breath but keep from contamiditeds into Kefir. Keep out of direct sun light. Keep the temperature between 70-78 degrees. Let sit on the counter for 24 hours. Correct kind of milk is important. From my research Organic milk without all the chemicals is important. In our area raw milk is not legal nor available. Don’t use Ultra Pasteurized due to most bacteria is dead. Pasteurized is okay. Be careful on this, due to the results will be different. Use Whole milk not low fat or non fat. I was getting a milk with the fat on top but it too was not getting me the correct results. So if you do purchase this type do not add the fat to the milk kefir grains. 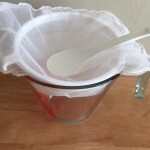 Strain Kefir into large measuring cup with strainer on top to collect, using spoon to separate Kefir Grains from Curds. 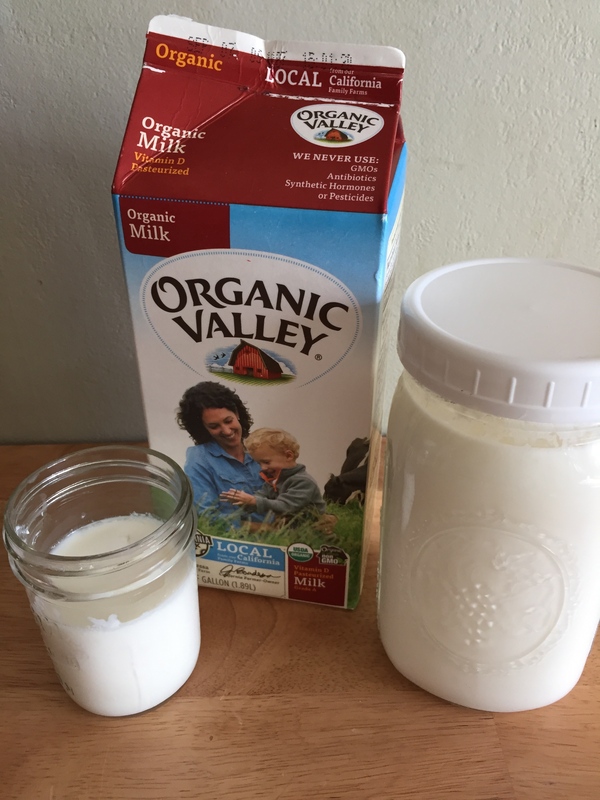 Pour fresh Kefir into 32oz jar and place the Kefir grains back into the 64oz jar to create more Kefir on the counter top while placing the fresh Kefir into the refrigerator. Don’t rinse the grains in water and make sure all tools are not contaminated from soap residue. 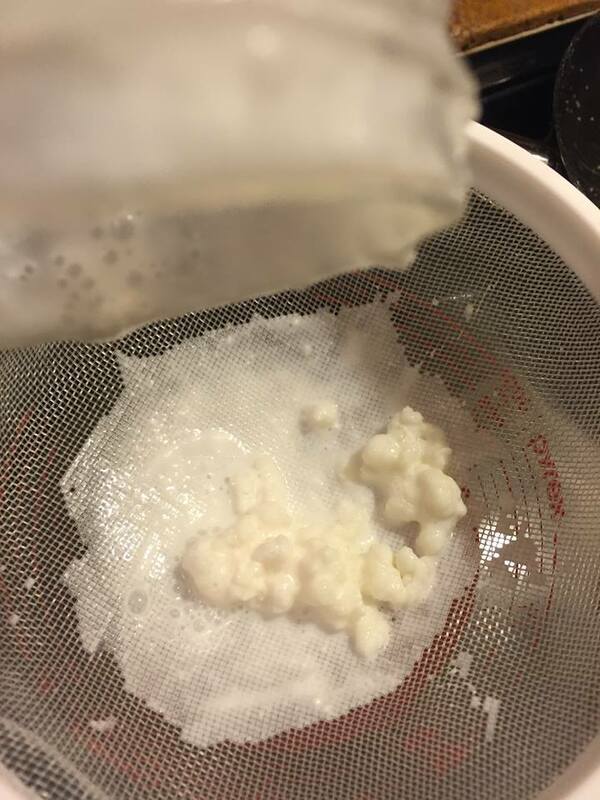 A second fermentation not only increases additional nutrietial value, it also adds flavor to the Kefir. There are countless fresh fruit to add to create wonderful flavors. Simply by peeling off fresh lemon or orange adds wonderful taste. Ginger to Strawberries or countless ideas. After you have separated the Kefir grains from the Kefir milk then create a second fermentation with the new Kefir milk by adding additional produce. You can also create a sour cream to a cheese substance with the new Kefir you just created by adding a little slice of onion, garlic to the Kefir for a second fermentation until it separates creating whey, a clear yellowish fluid while the curds collect on top. Place either on the counter or in the frig for different affects. 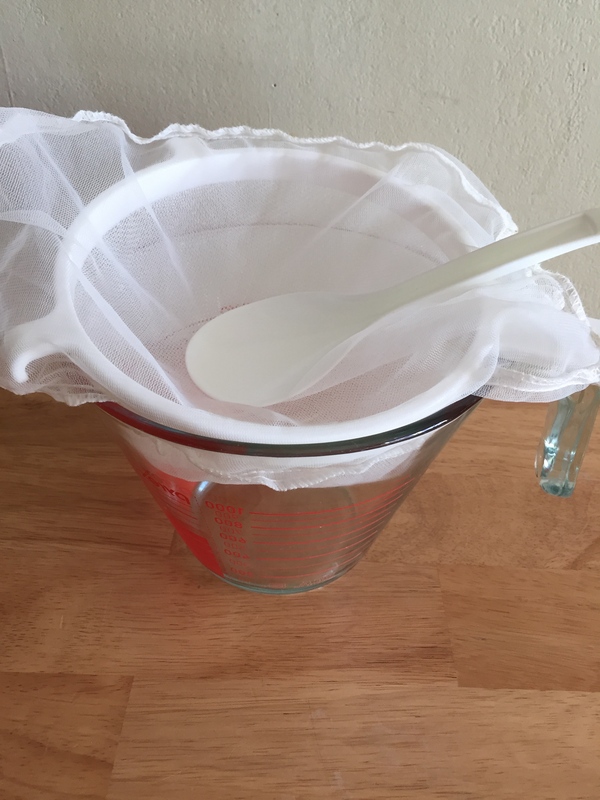 After it separates, pour into large measuring cup with mesh cloth strainer along with the plastic strainer, as shown to right photo, to sit in the refrigerator until whey has drained to bottom of cup with a heavy saucer onto to create pressure onto of the kefir to drain the whey off. Photo below is an example. 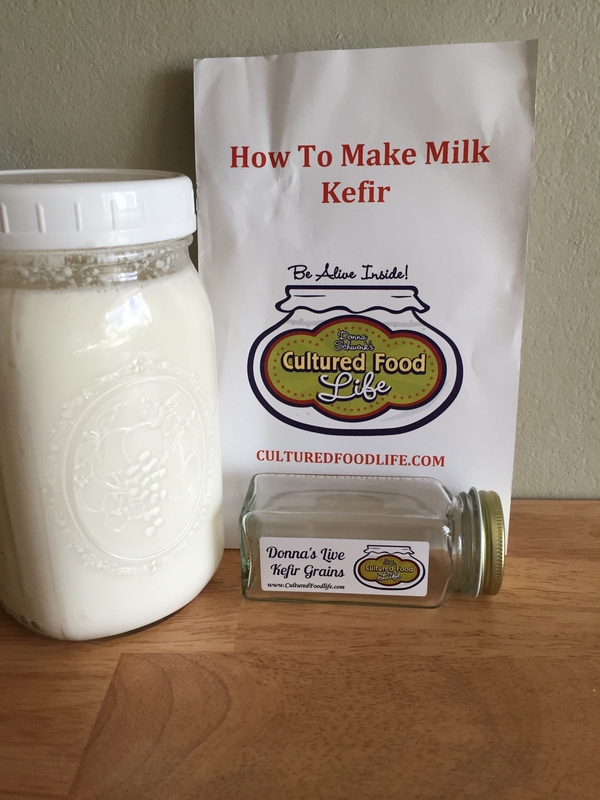 Once you have create enough Kefir add the Kefir Grains into a smaller jar and cover with fresh milk and store in the refrigerator until when you desire to make new Kefir. 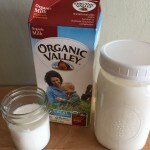 There is much information on how to create Kefir. I have found this website below to be the most helpful and informative. This is also where I purchase my Kefir Grains which were very healthy and successful in creating my Kefir. Here in this website above you will find also additional video to view to assist in creating your Kefir. 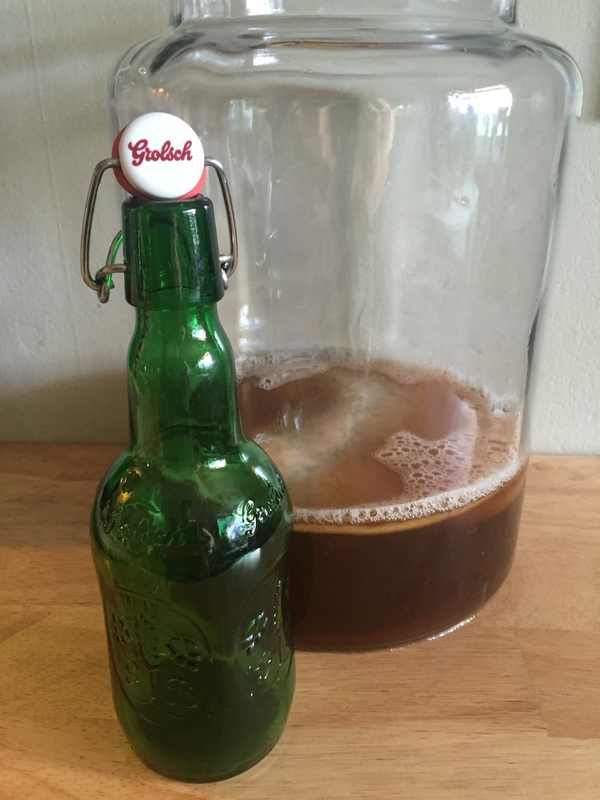 My first experience with Kombucha was in the mid 90’s. I made this tea for a while. But now days it has been taken to new levels with creative ideas to variety of flavors and increase of nutrients. 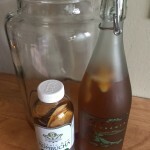 Kombucha is a traditional fermented drink made of black tea and sugar. 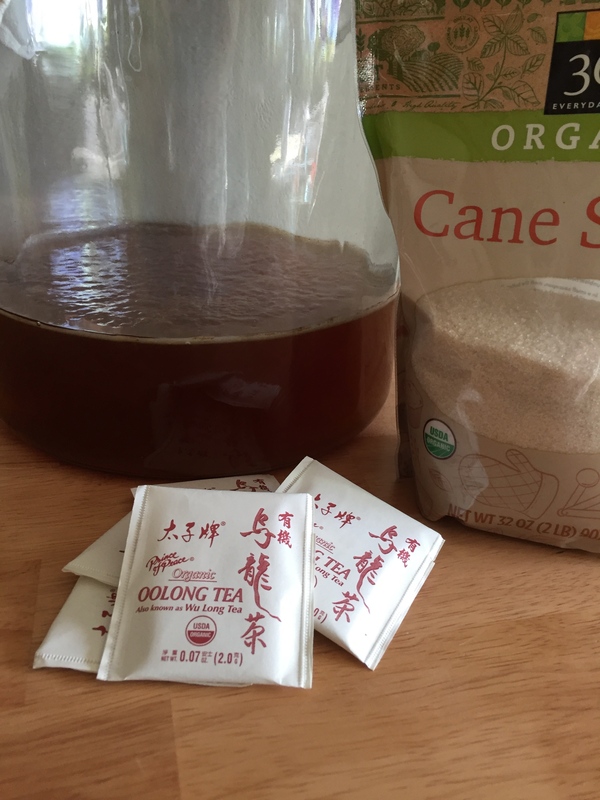 I use Oolong Organic Tea along with plain organic sugar. It contains a variety of vitamins, minerals and enzymes and has been prized by traditional cultures for its health-promoting properties. 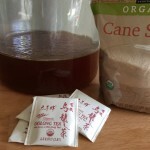 More specifically, Kombucha is a sweetened tea that is fermented with a scoby (a symbiotic colony of bacteria and yeast) to become a nutrient-rich beverage. 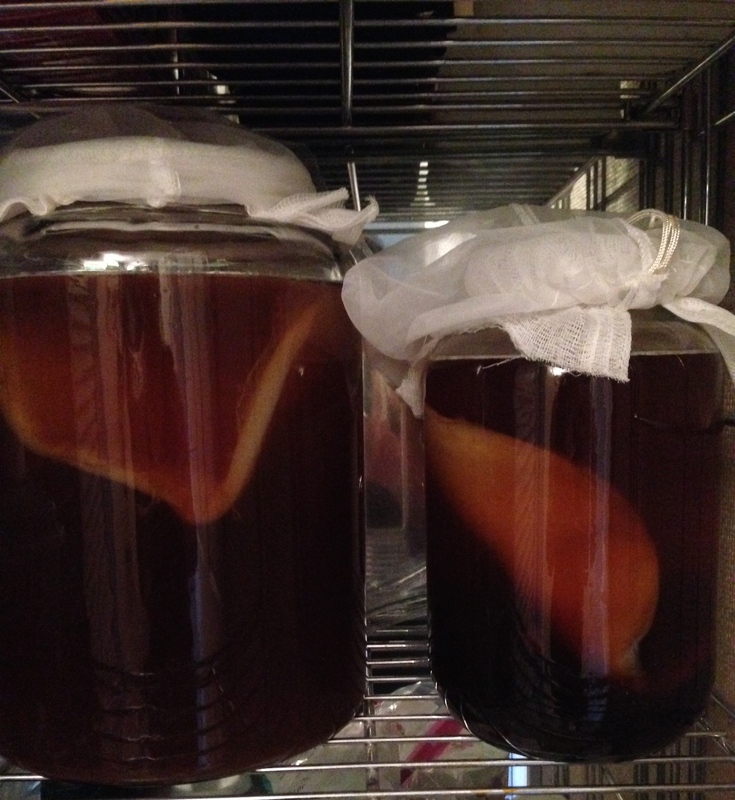 The fermentation process takes 7-12 days depending on temperature and the strength of the Scoby. 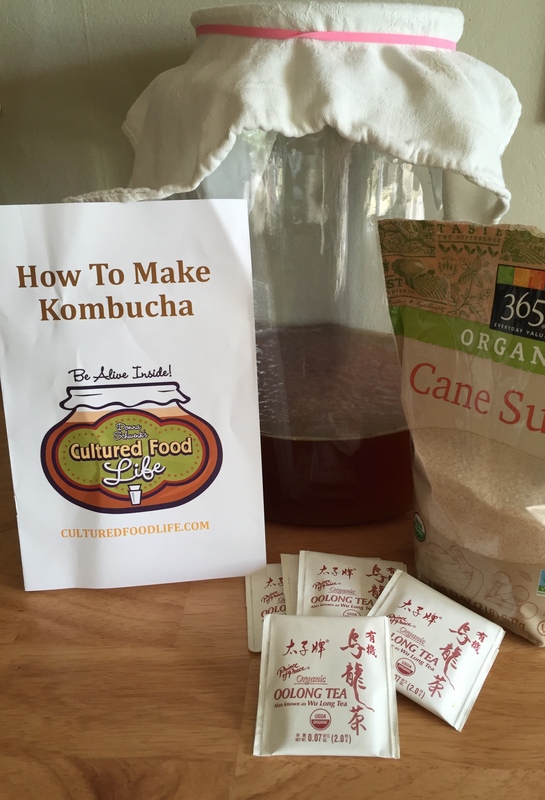 The scoby consumes over 90% of the sugar during fermentation, resulting in a low-sugar finished product. This process is similar to what would happen in sourdough bread or milk/water kefir. 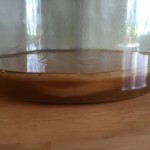 A second scoby will grow in the next 10 days which is normal. 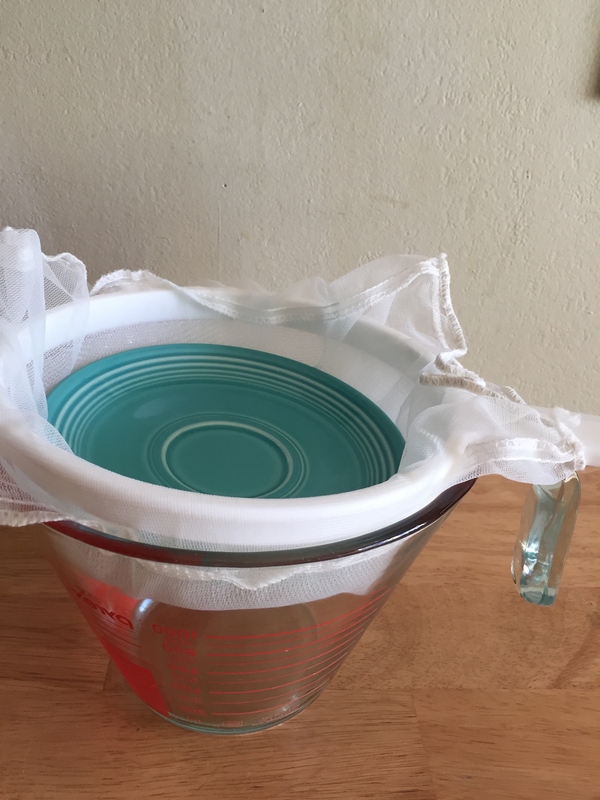 The original scoby may or may not float and may stay at the bottom which is okay as well. 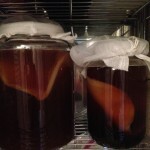 Eventually, you may either thin out the scoby’s by composting them or place in plants which the plants love. Harvest the tea depends on temperature. 4-6 days is too sweet. 7-9 day tastes like sparkling apple cider. 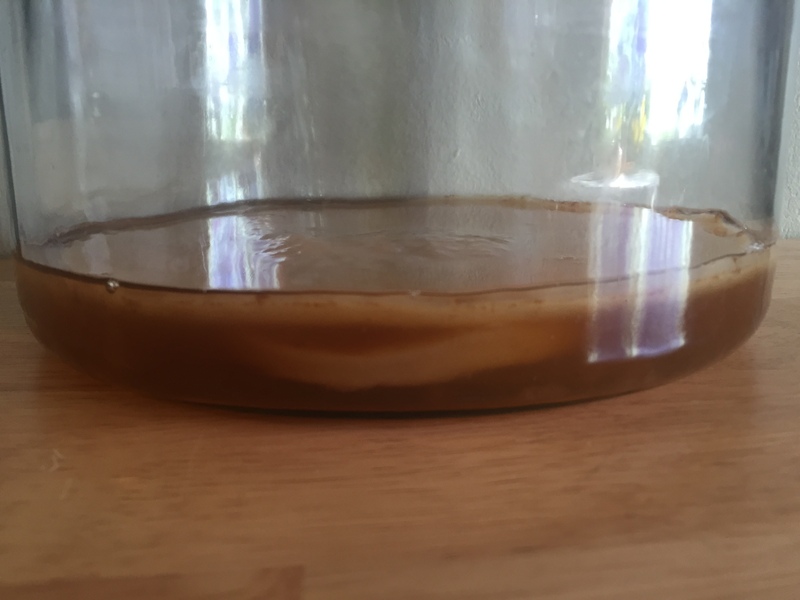 10+ days is too vinegar. The ideal time is between 7-10 days. If too long then there is less sugar and will not be ideal for Second Fermentation which you do after the harvest. I love the taste hopefully you will as too. 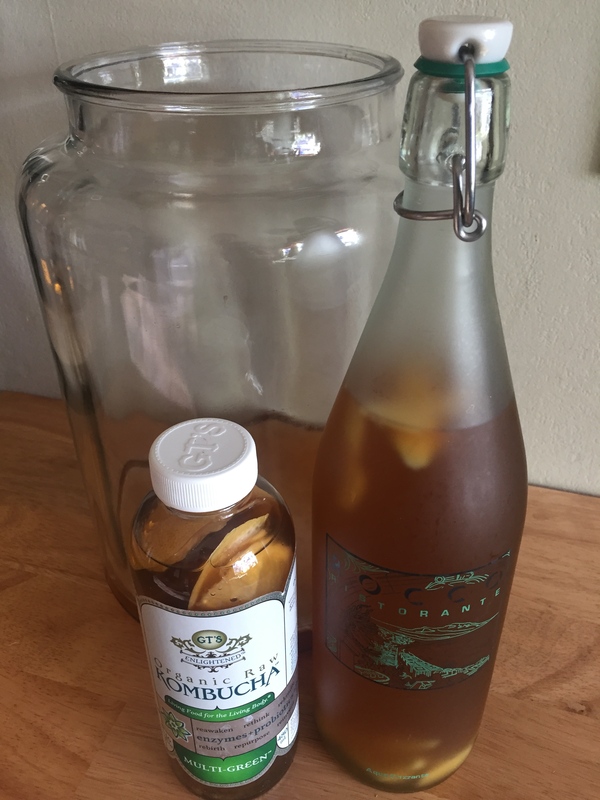 Once a very obscure drink, Kombucha is now a popular beverage that is available at most health food stores and many local grocery stores. Cultured Foods Life is where I purchase my recent scoby. I highly recommend Donna’s website. It is packed with information on Fermented Foods, videos, support and excellent quality products!